The love bearing Gareth Bale will be one of Europe’s hottest prospects over the forthcoming summer of transfers. Bale’s Tottenham exploits have seen him fill the gossip inches in many a tabloid over the previous 2 seasons and get ready to see his name continually with your daily English Breakfast. But for Football for the Day, the Welsh national has under delivered to the Yids of North London and England’s declining managerial patriarch in Harry Redknapp. Make no mistake, Bale is one of England’s most dominant wide players, possessing the skill and speed to ghost past players with apparent nonchalance. In that taxi for Maicon game, on an extraordinary Italian evening, Gareth forged his reputation as a genuine top liner in the Premier League. Indeed, 2010/11 was a year of brilliance with the resurgent Spurs left edge being front and centre. YEEHHHHH!!!! If Everton aren’t your new second team then step right up onto the bandwagon and join our merry forray as we celebrate a title race in earnest. AT LAST! 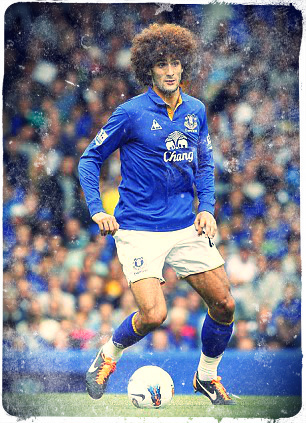 Indeed, we could sharpen our focus onto Fellaini’s fuzzy frock that seemed to give the impetus for a transcendental performance of epic proportions. The Belgian provided the best display from a box to box midfielder that I can care to remember and has afforded pundits from all points of the Earth a Monday night/Tuesday morning to relish. Thanking you. No longer do we have to feign interest in the scramble for 4th, or the glamour of the scrap between teams like Bolton, Blackburn and Villa to put themselves through another season of abject disappointment in the top flight. Fulham have had a tumultuous year. At times devastatingly efficient, and at others, drastically lacklustre, Craven Cottage has certainly not been easy viewing for Fulham fans. Martin Jol has revamped his side with new faces with difficult names such as Progrebnyak, but more importantly, new positioning for several outstanding prospects. Swapping Belgian connoisseur, Dembele, with the swashbuckling Dempsey, has been a masterstroke, with Dembele developing towards a Xabi Alonso type figure, while our pick of the bunch, in Clint Dempsey, has been simply rampant. The American has been a revelation, completing a rights of passage towards European action at one of the supposed big four. Apparently Fulham are resigned to losing the man from the big US of A, already lining up new Dutch talent. They’ll have enormous size 14s to fill, however, with Dempsey’s return of 17 goals, 7 assists unparalleled within a mid-table outfit. In truth, few players to pull on the famous red in 2011/12 deserve positive recognition, but of the maybe 3 players to enhance their reputations, Martin Skrtel has been the unclear standout. 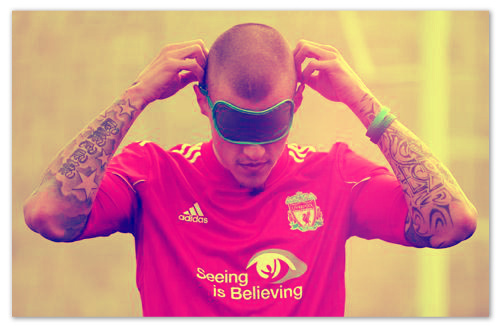 Skrtel has displayed the consistency that his salary warrants, but not much more. Resolute in the air, adhesive across the park (save the Drogba FA Cup goal) and dangerous aerially at the set piece, Skrtel has done more than simply offer a grammar-defying surname. Liverpool’s defence was hailed as the finest in the land on FFTD before Brazilian road block, Lucas, was forced from the stage by injury. Since then, Skrtl and Agger have established a robust centre pairing that at least bodes well for seasons to come. Marto deserves the plaudits for not dropping his standards under trying conditions. It continues to astound that an air of negativity persists around Eastlands. City may have tipped their, at times, substantive lead into the garbage, and disappointed in Europe, but if you’ve been hiding in Hungary with Zoltan Gera, that Blue Moon progressing on its lunar orbit. Seriously progressing. Mr Mancini deserves much of the credit for banding his combustible set of stars into a committed unit. Despite golfing sojourns and the Balotelli, City have been the most dominant side throughout the year; irresistable across the pitch. From the ever-reliable Joe Hart to the ruthless Sergio Aguero, so many in their squad deserve a mention in this column; the ultimate accolade. But there can only be one winner, and it has to be Yaya Toure who has been talismanic, providing a sturdiness across the centre of the pitch. 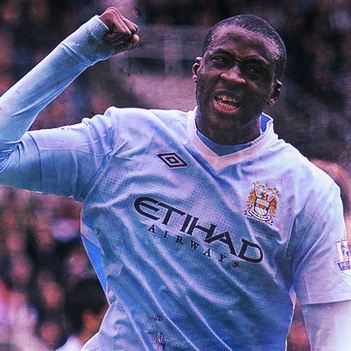 One of Toure’s most striking strengths remains his discipline – fulfilling clearly defined roles for the team – never more evident than against Newcastle, where he wallowed, poised and ready, as a deep lying midfielder, until with startling effect, he was released forward to overwhelm the opposition and effectively win the title. Toure’s presence seems to preside over contests, with the Ivorian providing crucial interventions at key moments and discerning nuances within the ebb and flow of contests to utilise in his side’s favour. Opta Stats has developed a new methodology for determining the most impactful talent, citing the value of particular actions as variant. For example, the volume of goals is less important than the volume of winning goals, meaning the value of a goal is not a constant (scoring a winner is more impactful than Dzeko’s 6th in their 6-1 demolition). In this measure, it was Toure who featured atop the Man City combatants and near the summit of the wider Premier League pool of employees. To one of the more likeable figures in the English game, we salute you. 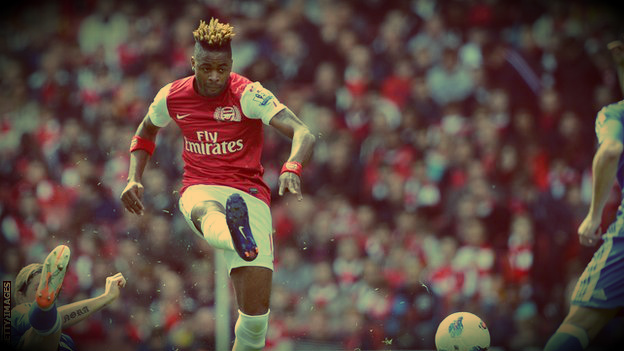 In a season dominated by the rampant Dutchman up front, Alex Song has been overlooked by many in a year of progress for the Gunners. Without Wilshere for most of the campaign, Song has established himself as a cunning midfielder with the nous to unlock the most ardent defensive structures. At this stage he has 12 assists for the year – double the output for the more highly fancied Luka Modric. If RVP has provided the goals, then Song has provided midfield authority across the pitch, proving he’s more than just a changing hair style. Wenger’s midfield mob for 2013 looks outstanding with the resurgent Rosicky, returning Wilshere and Diaby, Song, Walcott and a crafty Benayoun inflating the ballooning expectations of the red half of North London. It will be interesting to see how the arrival of M’Vila, who is considered a close replica to Song, fits into the system. What a miserable 9 months for the Villians and what a fall from grace following the departure of M. O’Neill from the managerial hot seat at Villa Park. Picking a standout has been difficult, near impossible, and the choice of Darren Bent from our ardent stargazing tells its own story. 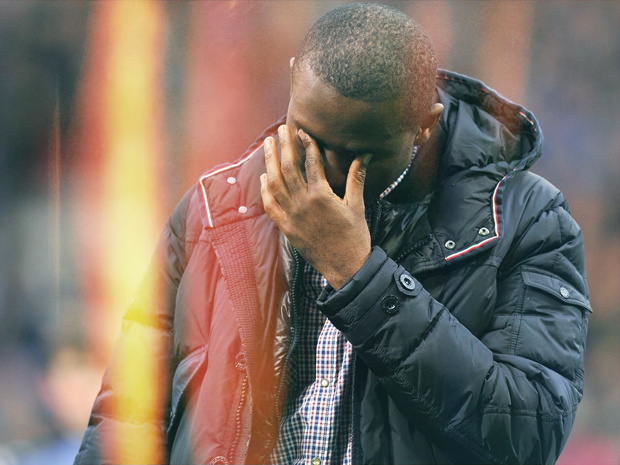 Bent was dynamic and prolific before his season was curtailed by injury; a setback that few predicted would add such significant impetus towards relegation. No side in the league is more dependant on one asset. Football for the Day’s favourite shambles have ended up precisely where many predicted. We await with bated breath to see Venkys grace the luxurious Barnsley or bask in the glamour of Watford. Never before has a playing group been so absolved of responsibility for a measly return of 31 points, with owners, managers and everyone else barred from actually taking part between the white lines being liable according to the persistent protests. So persistent, a fan protest 3 weeks ago failed to even warrant a mention during coverage. So persistent, FFTD wonders if seasoned patrons even saw the glimpses of promise seeping from the boots of Junior Hoilett, who’s our clear standout. At times, Hoilett was the only viable route to goal and we think he’s bound for continued premier league action. 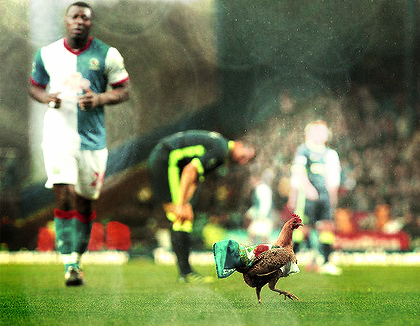 A close second was that chicken that hit the back of the net against Wigan, overcoming driving rain and the unflappable Al-Habsi. The Reebok was a place of discontent over the last 38 weeks – bottom at Christmas, their great escape has stuttered, more than flourished. Picking a player that has seen his stock appreciate makes us feel like a Wall St broker back in 2008. Maybe it was Petrov, or could it be Eagles? 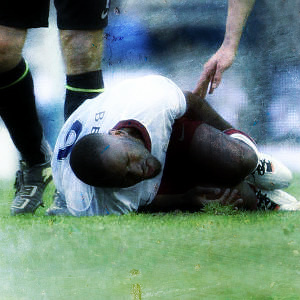 In truth, it was calamitous and we’ll opt for sentimental favourite Fabrice Muamba for no other reason than his underperforming heart and his tears with the Bolton Lion. Mates that follow the Trotters fear that the fairly pedestrian (am I allowed to say bad things about Fab?) midfielder, and his feel good episode, may have sealed a new indefinite, uncapped contract with the Trotters. For the KGB bankrolled London outfit, the league has proved challenging and frustrating throughout. But in cups, both European and domestic, Didier and his merry bunch have shown glimpses of the output such a team of stars warrants – stifling the irrepressible Messi et al with a display of adhesive defensive efforts and swatting the pretence of Spurs and Liverpool in the cup. The AVB saga, that effectively ended a vehement title quest with the early season calamity at home to Arsenal, weighed heavily on the more experienced and traditional lifeblood of the side in Franky, Johnny, Ashley, Petry, Mikey and Droggy D’zz, and it was a new addition that glistened brightest. Juan Mata has joined David Silva as quality Spanish additions to the EPL with a consistently superb first year in the league. 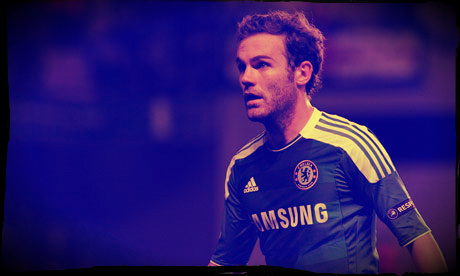 Mr Mata has 16 assists and 6 goals in the league – a return that few have exceeded. Mata is a constant menace on the left; the bane of right sided defenders across England. It will be a shoot out between Silva and Mata for a Euro12 adventure that involves more than perusing the standards of Polish/Ukranian pitchside facilities. Possibly the best input AVB added to the Blues, something RDM, RA and maybe PG can utilise going forward. This is our preview for the weekend ahead – ensuring that our views are set in stone to be proven wrong come Monday. Look no further than the Cup Final, scheduled in the evening for 2012. Traditionally the biggest match of the English calendar year, the lustre of the cup may have dulled of late, but for many, Wembley in May will always hold a certain sentimental privilege. The romantics haven’t failed us in 2012, with a perfect script delivering two sides converging towards fresh beginnings and distinctly new periods in the history of their clubs. Newcastle vs City runs a close second and is the easy standout in the league. Here’s hoping for the type of titanic struggle that many of the “bigger” teams have already produced this season. We like QPR into Bolton @ approx $4 depending on your bookie. Both sides are at home, against teams with nothing but Caribbean getaways to plan for. Expect sincere desperation from the trapdoor-threatened protagonists; for losing money is a legitimate motivation for effort. A loss in this fixture for either club, could see a miserable denouement of failure. That’s right, we also didn’t know Sol Campbell still warranted a formal retirement. Laughable really. At FFTD we have certainly shared in the tribulations of Andy Carroll as he has stumbled through his first Premier League campaign on Merseyside as if being led by Jose Enrique’s daughter while blindfolded and on stilts. The sympathetic view regards England’s most expensive player as a work in progress and a scapegoat for a typically scathing media. 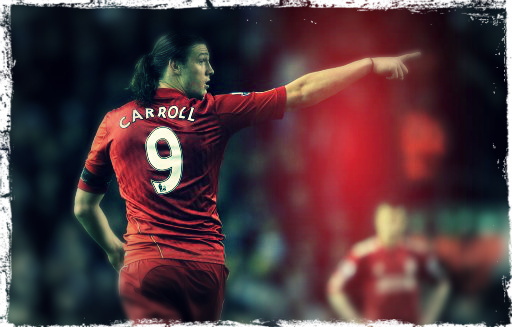 Others have pointed to his exorbitant price tag as a negligible factor; something uncontrolled by Carroll creating unrealistic and impossible to fulfill expectations. Whatever the paradigm, A. Carroll is the laughing stock of the world wide web and the emblem of anti-Liverpool sentiment (accompanied by Suarez) much to the chagrin of reds across the planet. Big Andy was snatched in a desperate last ditch deadline day scramble for a ready made Fernando replacement. While 35 large was excessive even for a league spiralling out of financial rationality, many pundits listed his arrival from Newcastle as a favourable dealing: strong, pacey, good feet and a devastating left peg – Peter Crouch times 5. What was to ensue is common knowledge, but we feel critiques have been continuously amplified out of proportion. Commentators should disregard his price tag for now, as that figure will be amortised over the entirety of his Liverpool career, and instead focus on the deeper-seeded problems at Anfield. It is surprising that more gossip fails to circulate one of Europe’s finest prospects in the 21 year old Bologna midfielder. Ramirez may be suited to the English brand with his powerful 6 foot frame and ability to legitimately fulfill a role without the ball. Gaston has continuously been compared to Kaka since bursting onto the scene, in terms of his graceful flair on the ball and his reportedly unflappable temperament. This trait would be a welcome asset to a growing collective of ill-disciplined players led by the pest that is Suarez. A number of other factors point to this deal being successful: Ramirez continues the Uruguayan flavour and should connect with Suarez and Coates, something that should not be understated, at just 21 he fits with Dalglish’s commitment to youth in his recruitment ideology and finally, a bid of £16.3 million is rumoured to be in the bolognaise stained hands of Bologna already. Sinclair has been at the fulcrum of an eye-catching season from the Welsh Premier League newcomers this season. 7 goals in 22 appearances is noteworthy enough, but he is ensconced in the top 10 for chance creation and assists across the league. While new arrival, Sigurdsson, may be a more convincing option, we think the Icelandic starlet will go to a bigger club with Champions League action, leaving Sinclair as a realistic investment. There are a number of drawbacks however. First, Sinclair’s strength is his penetrating runs from the left towards goal, more so than his delivery from wider areas, something Liverpool could use more desperately. Second, he has flourished in a 4-3-3 abundant with crisp passing and committed movement, two things that do not necessarily fit Liverpool’s attacking idiosyncrasies. Worth a look though. This Moroccan midfield maestro is a genuine contender as a long-term replacement for the ageing Gerrard. England’s biggest clubs have been lining up for Belhanda’s autograph for some time now, with the Montpellier man seen as a long term replacement for Scholes at United and previously Fabregas at Arsenal. But apparently, Liverpool are finally beating these clubs to something. 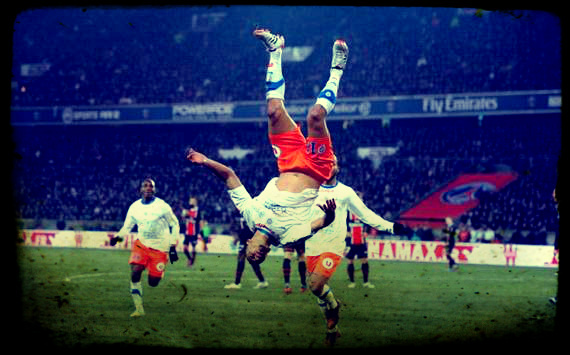 Younes knows his way to the back of the net too, with 12 goals to accompany his 6 assists in his 30 games in Ligue 1. Newcastle have shown the worth of French imports in their midfield and if John Henry is to break the bank this year, it would be difficult to move past Belhanda. Prepare to see this name in your gossip columns over the months to come. Some of my Liverpool supporting friends have bemoaned that Jarvis is just the sort of player their club will sign – and we tend to agree. 2012’s Charlie Adam, Jarvis is too good for the championship, but too expensive for the mid table club he deserves. Instead, Kenny will come to the rescue, signing another overrated Englishman without any considerable raison d’être. Jarvis is the definition of the word “useful”, but offers little more, and his signing would mark a step sideways at best. While he has been more prolific than Downing, with 7 goals for the debacle that is Wolves, this prospect would be scant improvement to the squad. This will happen – just you wait. England’s visiting Real Madrid player, adorned with a simply stunning given name, has shown glimpses that would fulfill Liverpool’s lacking. Drenthe is a consistent nightmare for defenders, something that Anton Ferdinand, most particularly, would substantiate. While not necessarily a weakness on the red half of Merseyside, Drenthe adds a set piece menace to accompany his attacking repertoire. On the negative, Royston saves us from a half-hearted attempt at defending by keeping this element completely absent from his game. Additionally, he seems easily flustered on the pitch, a quality that in tandem with the child-like Suarez could be too much to bear for a restless fan base. If the Everton loanee is considered as a replacement for the departing Kuyt, then two more opposite propositions would be difficult to find – something that, along with his lackadaisical attitude, could seriously hamper any efforts to endear himself to a Kop favouring hard-working and dogged performers. Off-field issues may be noteworthy. If the PFA’s prize for young player of the season was a genuine accolade (maybe youth was determined by years playing professionally, rather than years of age) then Blackburn’s biggest weapon would head the list. Without even a mirage of attacking support from his contemporaries, save the Yak’s three game mid season rich vein of form (HAH! ), the Canadian has been a clear standout amongst the shambolic on and off field season served up by Venkys and Steve Kean. Liverpool seem an appropriate destination for the championship-bound Hoilett, but several clubs will be throwing their cheque book at the out of contract winger. With his 3rd season of English football under his belt, Mr Hoilett could be the best possible option to Liverpool’s woes.